New colours from the Smartstone collection of quartz surfaces are on display at the freshly refurbished Sydney viewing gallery. 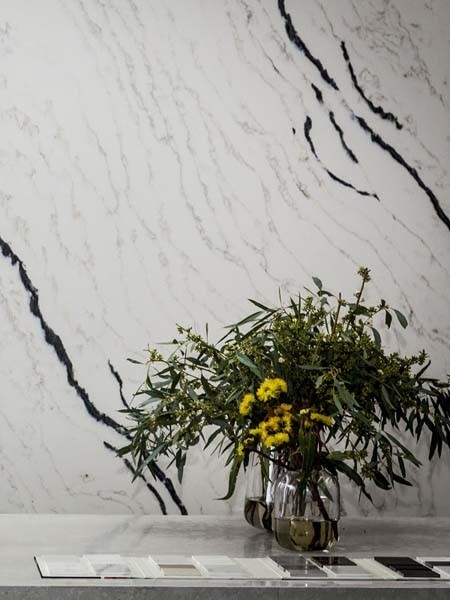 Smartstone’s new 2017 Colour Collection is on display at the viewing gallery with the quartz surfaces showcased in full slab format to allow a broad range of customers from industry professionals to homeowners appreciate the stunning new veined surfaces. The viewing gallery has been styled to highlight the new colour collection. Located at the Smartstone head office and warehouse at 29A Henderson Street in Turrella NSW, the viewing gallery is only 15 minutes from the Sydney airport and open to the public from 10am to 3pm, Monday to Friday. The Smartstone team is onsite to answer any queries and provide samples upon request.